Home Children's Ministry Kids Ministry Over the Top! That’s the power of bringing in an over-the-top FUN family event and providing it as a gift to your community! Image your main auditorium filled with cheering kids, smiling parents, fun music and flying tee-pee paper! As soon as people enter the room they know they are in for a super evening! Not only was it a great program, but it was a super easy event to plan! Roger and his team made it easy and it took only a few volunteers to pull it off! 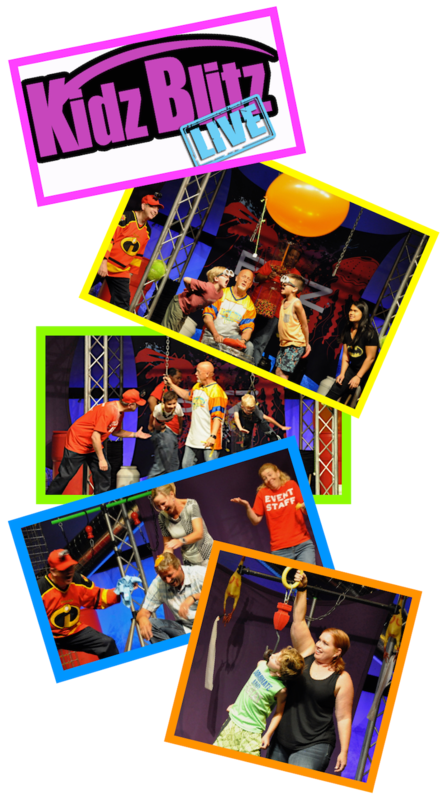 I consider Roger Fields the inventor of the over-the-top insanely fun family outreach event! He has several crews around the country making his high-octane high-energy highly effective show available for your church! Bring in kids and families, and share the crazy, amazing love of God like you never have before! I got “POOFED” as part of the show! I was framed! 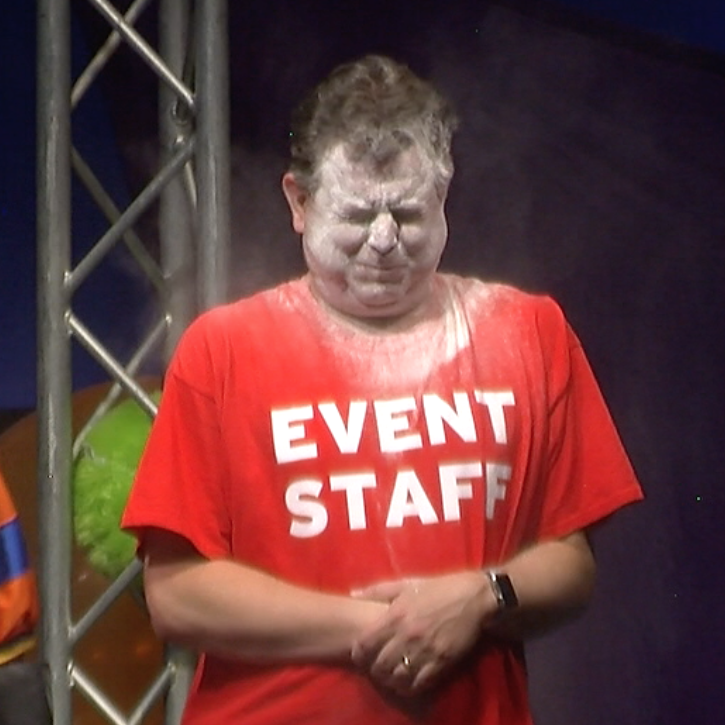 In a game where kids are shaving a water balloon on their dad’s head – I was told to pop the balloon at the end of the games, along with my co-team leader. But then she was secretly told NOT to, so I ended up looking like I did it on my own. The kids enjoyed my punishment!